Portland/Metro - With the season's first flood event at hand, anglers will be anxious to try their hands at Steelheading in the "Metro Two," otherwise known as the Clackamas and Sandy Rivers. Both rivers jumped to flood stage but will recede to questionable levels by the weekend. Regardless, any staging steelhead should be entering both of these systems, but despite improving water conditions, it's still early for the bulk of these fish to return this early in the season. Both systems have integrated more wild fish into the hatchery broodstock, more mimicking the wild return, which starts in earnest around mid-February. Anglers shouldn't expect good fishing until at least mid-January, but since a fair number of wild and some hatchery fish have already been caught on the Clackamas, when flows subside, fish will be around. The Willamette River will be up and turbid for the foreseeable future but plunkers working Meldrum Bar won't have a fair crack until next week at the earliest. Boaters should be aware of floating debris coming from upstream areas following this high water event. That shouldn't impact sturgeon fishing in the Portland Harbor when it's safe to boat again however. A pile of trophy trout will be stocked in local area lakes like Huddleston Pond and lakes around Corvallis. These bodies of water may be the only bodies of water with any visibility over the weekend and trout to 8 or 9 pounds make for good prospects for those that can tolerate the weather. Check the ODF&W stocking tab from their web site if you plan on heading out. 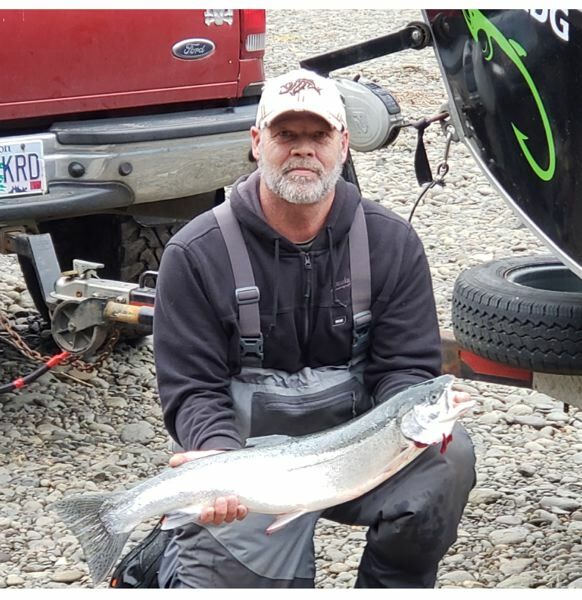 The Tillamook Report - Early season returns on the North Fork Nehalem and Three Rivers on the Nestucca system continue to disappoint anglers. 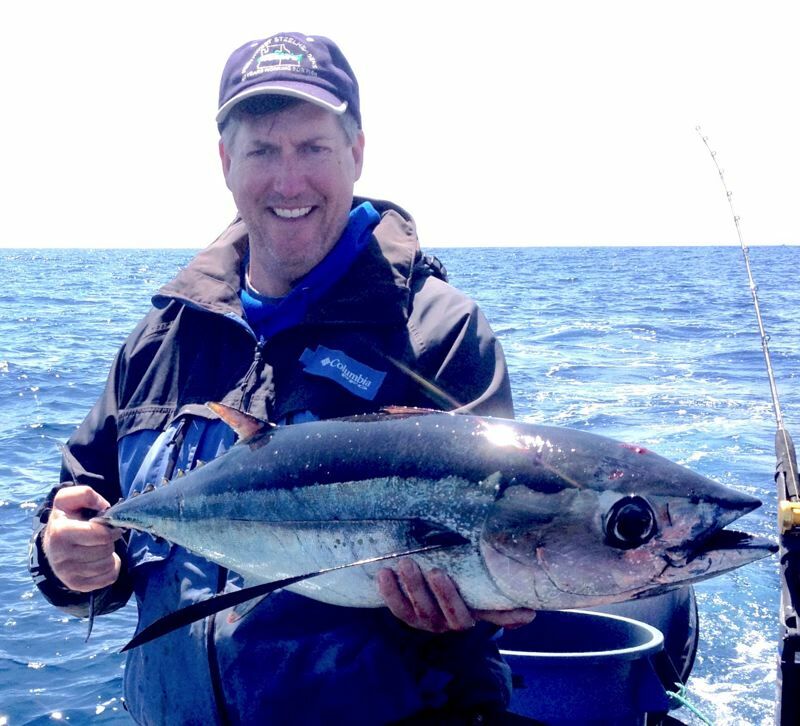 Saturday anglers still arrive with enthusiasm, but it's quickly gut-checked by Sunday as low success rates are realized. Regardless, these two systems remain some of the best options in Tillamook County, especially coming off the major rain event at mid-week. They may be the only weekend options until dryer conditions come about. That said, the Wilson River was producing fair steelhead catches prior to the high water with cookie-cutter 6 - 7 pounders taken on bait and soft beads over the weekend. The Wilson and other larger Tillamook area rivers will be a bit high to fish over the weekend, but that is often when the best fishing actually occurs. Look for willing fish in the softer pockets and shallower water under these conditions. The Dam Hole on the Trask River is also a high water favorite, but often produces only catch and release wild fish results with fewer anglers in pursuit. Seas remain angry, it's a pity sport crabbers haven't been able to take advantage of wide-open opportunity during the month of December. The commercial fleet may drop gear as early as December 28th if conditions are right. Lower Columbia River - Tides and weather may be ideal for weekend crabbing in Astoria. Success should be excellent for top-notch holiday horderves. The Highway 30 streams and Necanicum River should have steelhead available this weekend but the early season show has been disappointing.